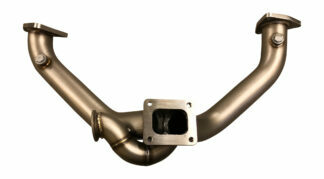 * Turbo Support bracket that also doubles as the turbo oil drain for easy hook up. 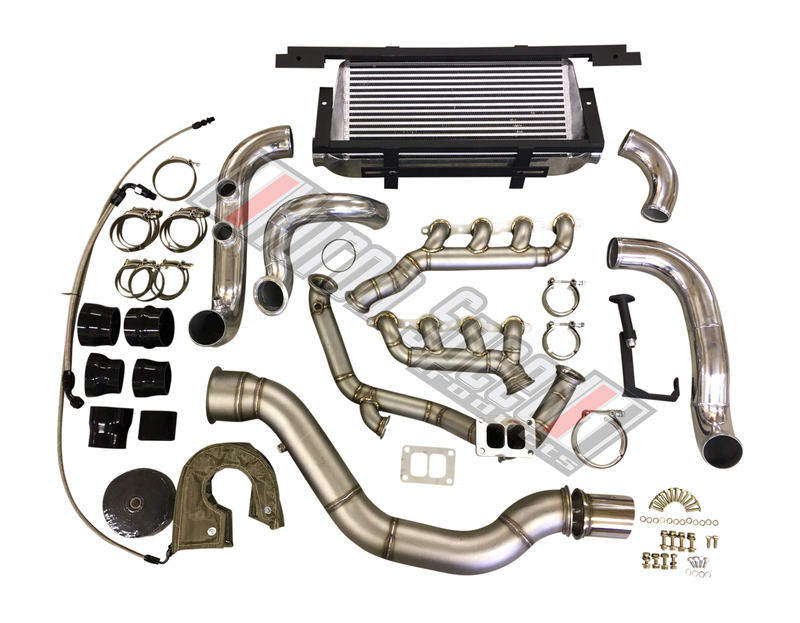 * Standard Base 4″ Thick Intercooler included. 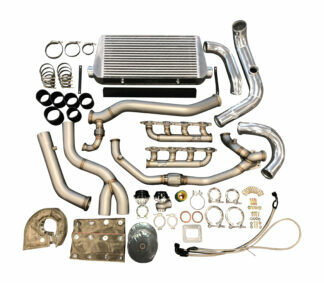 Optional 4.5″ or 6″ Thick Core BELL intercooler with direct bolt on brackets with 3.5″ Inlet and Outlet. * Aluminum Full 3.5″ Cold side piping from Turbo to Intercooler and Intercooler to Throttle Body with (2) 50mm BOV flange and threaded IAT sensor bung. Revamped design gaining a lot of additonal clearance and must nicer fitment! * Grade 8 Bolt/Hardware Kit included! *Kit requires: Stood up radiator (dual pass recommended) with coolant hoses and fans to clear piping/turbo. A/C removal. 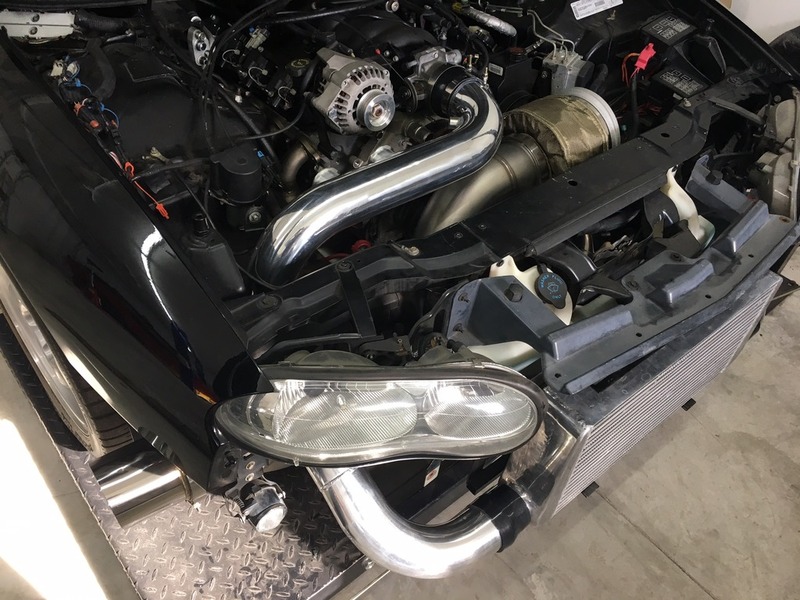 Relocation of battery and coolant overflow tank to fit the charge pipe to throttle body. 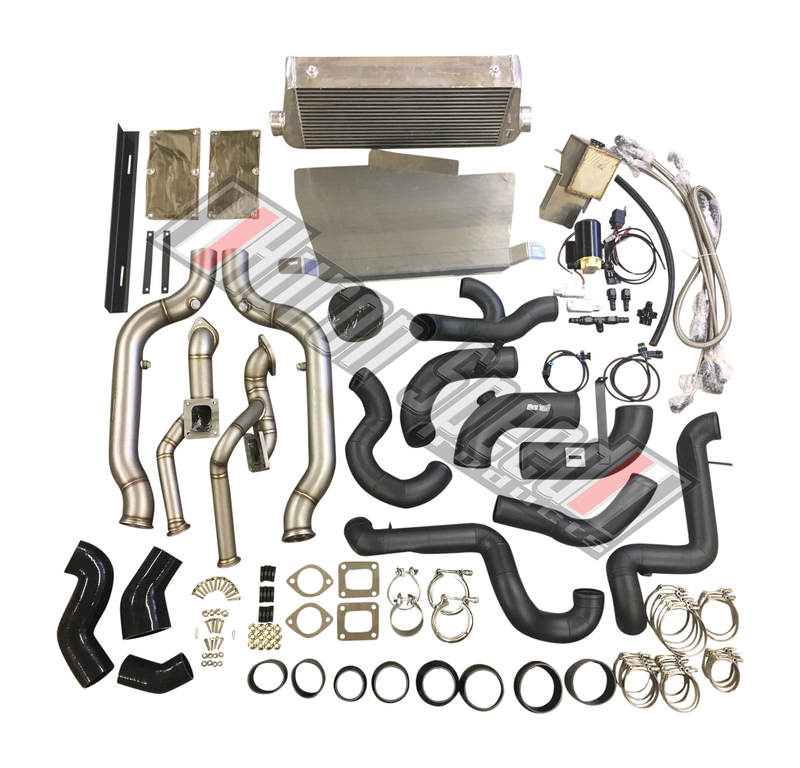 Requires turbo, wastegates, and BOV as well to complete (all of which we can supply from the drop down menus) Lower Radiator Hose outlet may require modification depending on your specific placement of the radiatior. Due to the large exit out the bumper, depending on model of car you can expect to lose your marker light on the passenger side. If retaining cruise control, requires slight relocation of the box on the drivers side frame rail to clear cold-side tube. 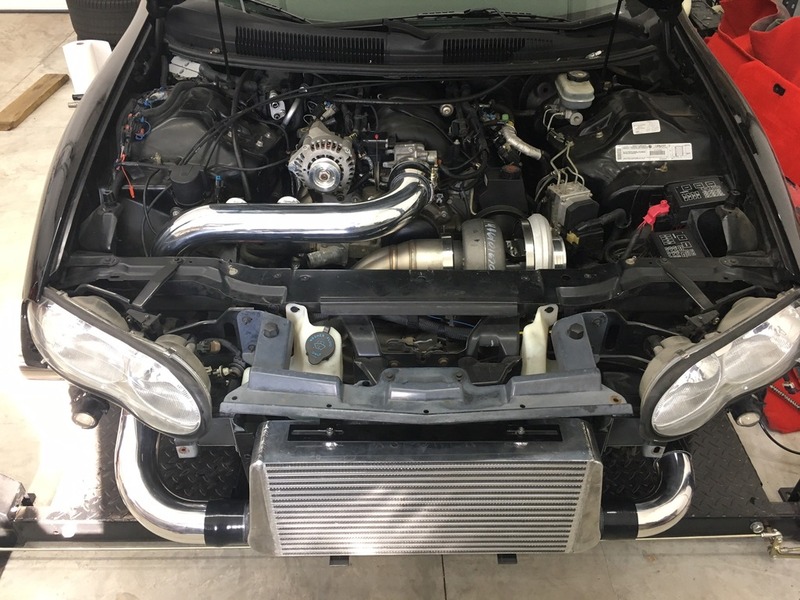 Lower Hose Dayco 81171 (flexible universal hose) which is a little long for most but needed to clear the downpipe exiting out the passenger side front bumper, The upper hose is a Gates 22358 just trimmed to fit. 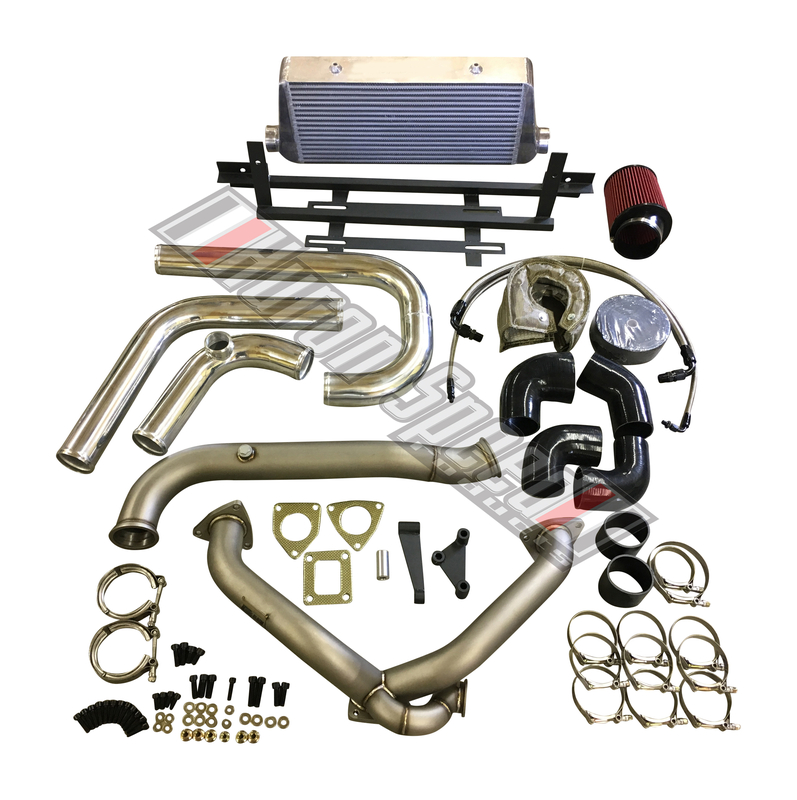 *If running a big Race-Cover option on your turbo, we recommend removing your Power Steering and ABS. 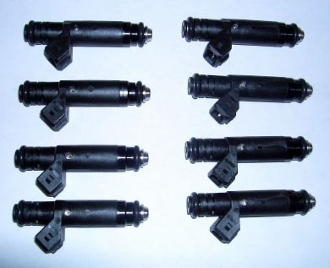 They can be retained but will require some modification on your end. Standard S400 compressor cover clears both with plenty of room. Race-Cover is TIGHT! 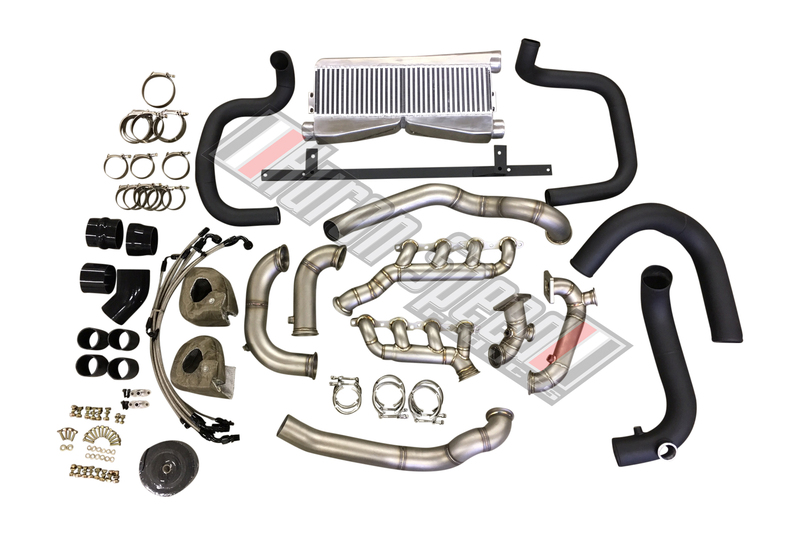 *Kit RETAINS: OEM Alternator location, OEM Front Sway bar, and stock or any aftermarket K-member!